It’s an interesting anathema. We are taught all of our lives to respect sound in its given spectrums. I often mention sound “treatment” as a “psychic” effect. “hear” it. And there some effects like saturation which can effect bass. It’s sad though; Because when we use saturation We merely emulate the deprecated effect of modern and vintage microphones. Strange that perfection is too perfect. There are many products that are very effective for mimicking a microphone, I like Godlike3 Ultimate from Bitsonic, TDR Nova GE, Equilbre (a free EQ), APEQ/APQualizer from Apulsoft and the IIEQ Pro from DDMF But the real surprise is the very inexpensive Tri-Compressor from SSI or Minimal System Instruments. The mid of a sound is the initial compressed sound occurring in the air. And the result waves reacting with oxygen and air particles are called Side. Like when You shake a piece of flexible steel, the beginning of that flex produces treble and the tail bass. Bass is easily understood by the brain because it is mingling aith air molecules, particles what have You. But keeping these conventions in mind; expansion brings a new element into the mix. Products like the TDR Nova allow you to EXPAND Mid, which brings out those incoherent frequencies to a spectrum with which the mind’s eye can perceive. Thus, the “psychic” effect. However, it is a very hard style to master. It seems to impose saturation and to be honest – I am still learning of its mysteries; However; It seems like a highly profitable idea. The luftikus used to be available on code.google.com, But Google’s code business must have crashed because it’s shut down. You’d think they’d make enough money off of androids. They really need to work on priorities instead of silly cameras people can wear on their head. So, we have ensured that the Luftikus smoothes out trebles which have artifacts so that there is less artifacts of transience, Now it’s time to gate breathing or background noise. 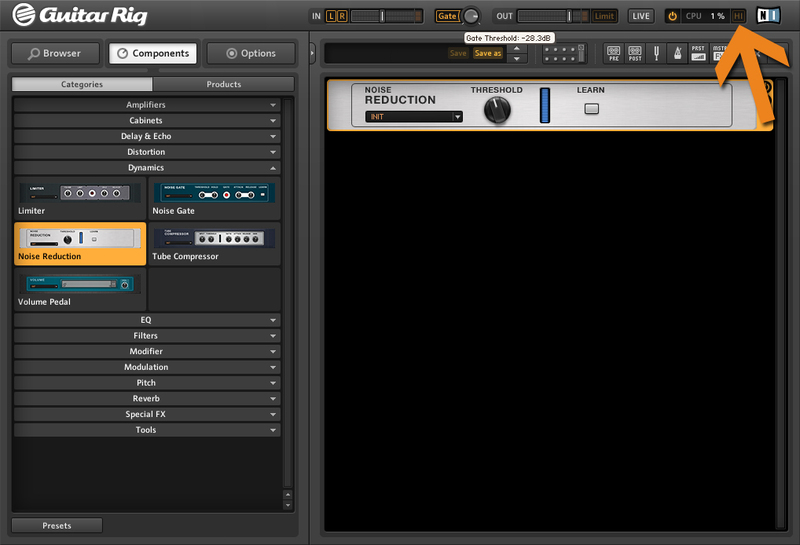 Great product, Guitar Rig Pro; I rarely use it but for its gate and gain. It’s undoubtedly free of artifacts which you would normally find in similar software. 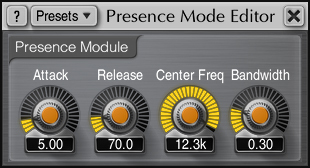 I like nectar, and some of the other isotope products, but there are artifacts left when using Izotope’s gates. It also has sweet guitar presets too, but I rarely use them for hip hop, so let’s move on to #2. But, if you don’t have it yet; Download and register this product at Native Instruments, I highly recommend that You buy the full version; It’s sweet. If you cut away the highs and lows, You’ll have a basic sound to work with. 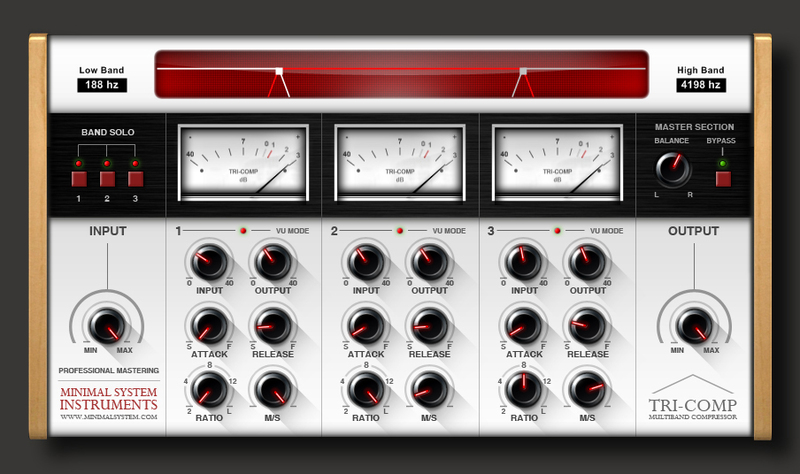 Why articulate sounds upon sounds when you can use the compressor to do that? It might seem that this would do damage to audio, But SonEQ (used well) seems to leave the audio in a somewhat intact state even after heavy cuts. Let’s not forget that We are using elements of Analog Prototyping to create a pure and very real sound. When you understand that Mid is the source of all sound, then how can you cut away the sound? The Tri-Comp [above] does a great job of emulating nature and the naturally occurring compression and mid side ratios. Furthermore, the two levels of gain seem to be dynamic. That means that they can compete with one another. It’s this competition which allows you to create effects that seem very realistic; Like planes of air and temperature affecting sound carrying [images below]. Adding an effect that seems much like “presence” is just a matter of playing with these two knobs! 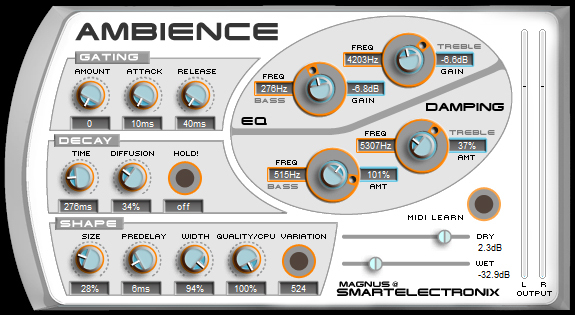 Don’t worry about plugins regarding phase or chorus. Everything is possible by adjusting the balance of these two knobs mixing signals! So, I mentioned this effect before, but put plainly: The Mid sound is where the sound starts (the initial sound).. 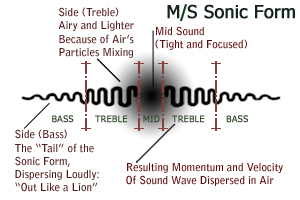 The treble and bass are the reactions to the mid sound in the AIR. Based upon this reference image; It is easy to see that Mid frequencies are compressed to the point of Limiting (Unorthodox, Less understandable levels of compression). Therefore treble would still be slightly compressed. And bass less compressed of all frequencies. Based upon this schema it is easy to see in the mind’s eye why sound becomes the way it does. It start’s as a loud object that has great momentum and depth travelling and dispersing through the air; Slowed and gradually dissipating in momentum ultimately becoming bass. I can’t say enough good things about the Minimal Systems products. Even their punch compressor is good, and I hate punch compressors. We are all stuck in the past aren’t We? But with that said, it seems uncanny that nothing seems to be as understandable to the brain as tape drive. But in the minimal sense. Please make reference to this image below to see the settings I would normally use to emulate using a “studio tape” in an audio engineering sense; So that the listener can hear this step, perceiving that it’s a big production. And after all; That’s the desired effect. I don’t use many of the other settings from alloy very often – But it is like any product, There are strengths and weaknesses to all of them. 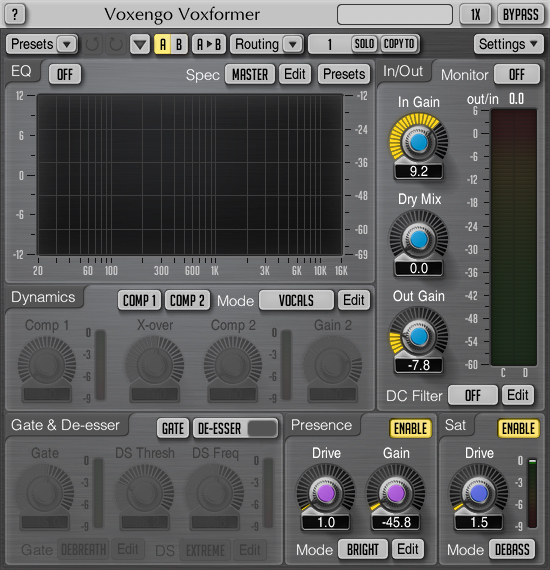 Like for instance I sometimes use the tape exciter and imager from Izotope’s Ozone 7 on the master channel. If you wished for more grain, then perhaps you might with to use the TesslaMKII from variety of sound. It does a very good job of representing both tape or tube transience and has a nice volume effect that closely resembles floor. My only critique is that it combines so many effects into one package. A good idea, but it’s hard to mix products if they do TOO much at once; It ALWAYS results in saturation or drive, which in most cases is undesirable. There is an exciter that is equally interesting for the reproduction of tape and tube drive – But it is reminiscent of the excitation of a transistor and the aural result of tape transient emulation. It’s a hard sell; But I may use it from time to time. You can download the thrillseekerXTC from pluginboutique, but the thrillseekerVBL is available only on the VarietyOfSound.wordpress.com website. 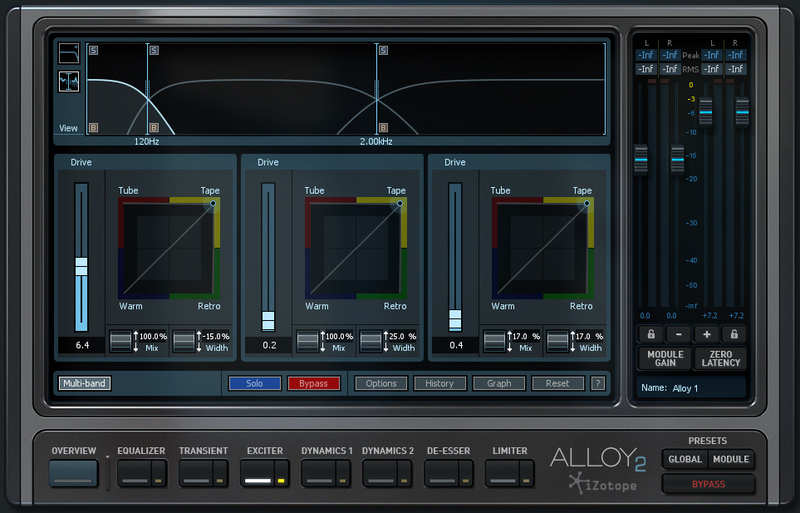 For voice though, alloy seems best. Currently (9/5/2016), it’s $99 American. Saturation does result in microphones, and so does something called presence, or floor. Floor is the old school reference to the effect of a table (usually with a condenser/compressor mic propped on a short acoustically balanced stand). The only product which can realistically reproduce this effect as far as My experience has told me is the Voxengo Voxformer. I like to use the De-Basser Saturation setting, I use bright presence and set the drive to about 2.3; I like the gain to be about -15 or -18DB. 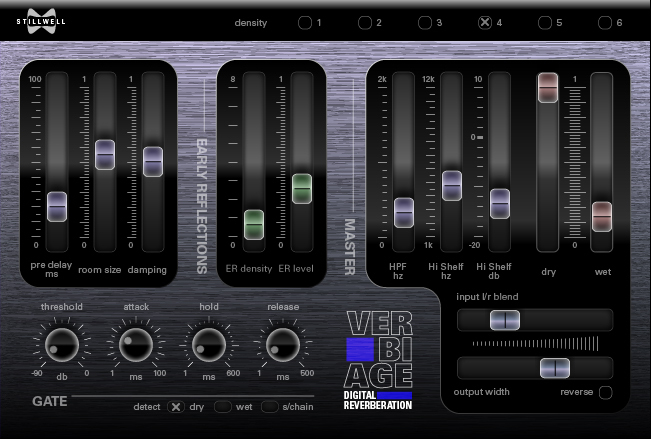 You could also use the Equilibre equalizer to emulate both the mid and side and resulting saturation. I will post some presets which should meet your needs, being that it is a free alternative. It could also be paired with the CompressiveCM by Martin Eastwood as a free alternative. Verbiage by Stillwellaudio is very impressive I highly recommend you buy it for vocals or whatever else. I’m also a fan of UDReverb, Mverb, Reverbering by NuSofting, and Sometimes the Fruity Reverb. The algorVerb has a plastic feel and its brightness is better stylized to affecting violins or basses. Nonetheless, reverb’s effects should be minimal, perceive that You are mimicking the echo coming from a table top and dispersed underneath a microphone ideally, Or bouncing off the body for a dampening and what effect, assuming that you are emulating a microphone swing boom. If you were emulating a boom, then lower the amount of bass provided by the reverb and the effects should be ideal. I will post presets for every one of these products which should provide you with professional results. I like to finish with an amp, for that I use the ThrillseekerVBL; I Leave the gain on the low end at .5, the high end 1.0 and the amp I put at 28%. I like to put the brilliance up a bit (every case is different). This is a good finisher, it feels like the real deal, I’m very happy with the thrill seeker. Enter your email address to follow this educational resource and receive notifications of new posts by email.